Back in May, one of my first blog posts to this relaunched blog was called “A Confession, An Apology, and A Challenge.” I confessed, among other things, that I had gained back all of the weight that I had lost (and then some!) the last time I had seriously committed to a weight loss program. I also shared that I was ready to begin again, but this time, with purposeful and manageable lifestyle changes rather than strictly programmed diets and “quick result” programs. But then came June. I was very busy… and stressed… and my actual choices did not live up to my earlier good intentions. By the end of June, I hadn’t lost any weight. And while I was recovering from our annual summer missions trip to Mexico, I had a little health scare. Thankfully it turned out to be nothing, but it did serve as the wake up call I needed to get back on track. I made some adjustments to my eating habits, and within a week I was seeing some results on the scale. So in early July, I asked Rich Carlisle to spearhead a Facebook group where we could encourage each other and share our progress on this health and wholeness journey. Rich has done a wonderful job of sharing encouragement and helpful articles. And while I’ve jumped in on a few threads here and there, I’ve been pretty quiet about my progress. But this week marks three months since I began my journey towards a healthier lifestyle in earnest, so I wanted to update you on my progress. I’m happy to report that as of this morning, I have lost a total of 29.6 pounds! I was really really hoping to reach that “30” mark, but my goal is to be transparent, even when I don’t quite hit the mark! And that’s OK. 29.6 is still cause for celebration! I wanted to share a screenshot of my weight loss graph over these past few months because it shows not just the overall trend towards losing weight… but because it demonstrates that I didn’t lose weight every day. I’ll be honest, I’d rather see a nice smooth downward curve on that graph. I’d rather see my numbers coming down, slowly but steadily, every single day. But it doesn’t work like that. Those little peaks in the chart can be discouraging, especially when you’re in the middle of one! But it’s up to us whether they become insurmountable obstacles or just bumps in the road. This time around I’m happy to be able to report that I didn’t give up! I would never have made it to this point without an extended series of small victories punctuated by minor setbacks. The peaks and valleys show that our journey can be productive without being perfect. So take the time to celebrate the small victories because strung together, they lead to great successes! Remember, it was a string of small bad choices (one bowl of Blue Bell ice cream at a time!) that got me off course. So it’s going to take a lot of small good choices to regain lost ground. The same thing could be said about virtually any area of your life. One of the spiritual disciplines that we strongly encourage at Christian Challenge is daily Bible reading. Typically, people start out strong in January, making it their New Year’s Resolution - but how many of your 2016 New Year’s Resolutions are still going strong now at the end of September? Don’t let the bumps in the road throw you off your journey! That’s why this year, our Bible Reading group on Facebook is taking a series of short reading plans rather than one large “read the Bible in one year” plan. I wanted as many people as possible to participate, even if they joined in the middle of the year. I also didn’t want anyone to fall so far behind that they became discouraged and dropped out completely. Any day is a good day to start a new good habit or spiritual discipline! 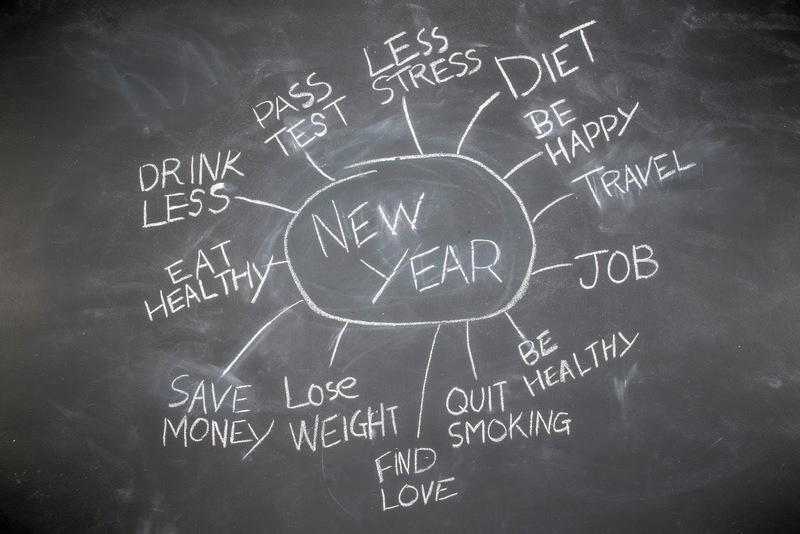 Don’t wait until January 1st to start your next New YOU Resolution! Celebration is a wonderful thing once you’re on your way to reaching a goal. But what if you’re not sure where to start? That’s where the encouragement part of this post comes in! I’m a pastor, not a dietician or nutritionist. We’re all different, and despite what the latest books and TV doctors might tell you, there is no one-size-fits-all prescription. I don’t want what I’m about to share to sound like a “Hey, follow me! I figured it out!” post. What is working for me might not be best for you. But there are some general guidelines that can help. Over the years I’ve come to understand that things which can be done quickly can also be undone quickly. Money that is easily made is easily lost. Overnight fame turns into long-lasting obscurity. And if you lose a lot of weight very quickly… it’ll probably all come back and then some! (Just check out this article about the many Biggest Loser contestants who lost amazing amounts of weight during the show, only to regain some, most or even more after the show was over.) Success isn’t really success if it’s only temporary. Those who succeed in the long-term most often have a long-term goal. And know it’s going to be a long-term journey. Their commitment to reaching that goal has to be strong enough to withstand the inevitable setbacks. Trying to do too much too fast will almost always lead to disappointment, no matter what your goals are. Trying to learn Spanish? That’s not going to happen by binge watching three years worth of spanish lessons in one weekend! Want to learn guitar? Watching youtube videos of amazing guitar players all weekend won’t make you a superstar. Be realistic. If you’re serious about your goals, you also need to be serious about what it’s going to take to achieve them. It’s not just about the pace, it’s about the process. Having a definite goal doesn’t mean that you have to following an inflexible or overly ambitious plan. My long term goal is to lose weight through long term, sustainable lifestyle changes. In keeping with my original post, I’m staying away from pre-packaged programs and strict diets. And I’m trying to be realistic about what will and will not work for me based on past experience. The one meal I have the most control over in my life is breakfast. My work as a pastor and City Councilman often means that I’m eating out or eating catered meals at different functions. So I do what I can to make my breakfast count. One of the things I really enjoyed from previous weight loss programs was having a shake for breakfast. I know that’s not everyone’s cup of tea, but I really looked forward to them! So these days, I’m starting my day with a shake. I start with a (generic) protein powder and add fruit, veggies, peanut butter - items that contribute to the taste and to the nutritional value. (Having a great blender like the Ninja really helps!) And starting the day with a healthy breakfast really does make it easier to resist sweet temptations throughout the rest of the day. "If it's white, it ain't right!" The first is summarized in a phrase that may sound a little edgy: “If it’s white, it ain’t right.” That’s not a racial statement!! 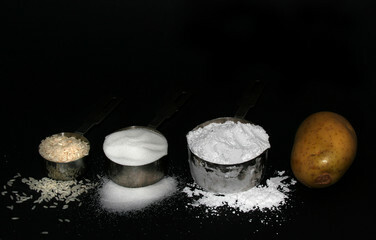 The foods and ingredients I do my best to avoid are white sugar, white rice, white flour, and white potatoes. In essence I’m eating a modified low-carb diet, although I enjoy complex carbs like brown rice, sweet potatoes, etc. If I can’t follow rule #1, make the healthiest choice available. For example, if we stop to eat at Sonic, I chose the grilled chicken sandwich and throw away the top half of the bun. Or if I’m eating in someone’s home and the food doesn’t fit my first rule, I just eat smaller portions. This way, it’s not about dietary legalism, but consistently making the best possible choice. 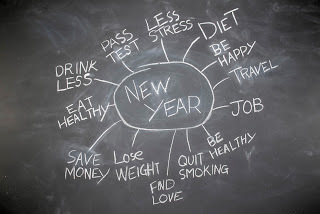 That’s what’s working for me right now, but it’s certainly not the only way to lose weight or live healthily. And, of course, if you have a different goal that you’re working towards, you’ll need your own plan of attack and rules of thumb! I’m curious as to what you’re doing! What are your goals, and what are you doing (or what would you like to begin doing TODAY) to reach them? Would you mind sharing in the comments what you’ve found to be helpful in weight-loss or healthy living? Let’s encourage each other! On Sunday, I began what I believe will be a series called “God’s Secret.” The title was inspired in part by my Weekend Update last week (I told you the sermon was a secret because I didn’t know what I would be preaching yet!) but ultimately, I chose that title because of what it says in Psalm 25:14, “The secret of the Lord is for those who fear Him, And He will make them know His covenant.” I tied that back in to Proverbs 9:10, which tells us that the fear of the Lord is the beginning of wisdom, and we spent the rest of the morning talking about wisdom. 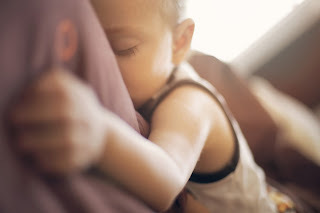 But for this post, I want to back up a bit and talk a bit more about the Fear of the Lord. We’re all familiar with the phrase, and I’ve preached about it several times over the last few years. But the Fear of the Lord is one of those subjects that can be easily misunderstood. To a modern ear, it sounds like one of those “old timey” Christianese phrases. When it’s spoken, we nod in knowing agreement… but it has this almost nebulous sense about it. We have an understanding that the “fear” in question is really a deep respect or reverence (which I blogged about back in July), but we also have a sense that there’s more to it, we just can’t quite articulate it. And we’re right, there IS something more to it. But not everything that we’ve associated with the Fear of the Lord is true. So since the Fear of the Lord is the beginning of wisdom, it seems wise to spend a few moments here talking about what the fear of the Lord is NOT. 1. The Fear of the Lord is NOT the fear of losing your salvation. As a pastor, I’ve counseled people who have been virtually crippled by this fear, and it breaks my heart. They’ve been taught to fear committing the unpardonable sin, and they’re secretly (or perhaps not so secretly) convinced that they’ve already committed it. Or perhaps they believe they’re saved, but just barely, and one wrong move could be the end for them. But the fear of the Lord doesn’t mean that we’re afraid He will smite us at the first hint of a mis-step. The fear of losing our salvation is a form of worry - worrying that we haven’t done enough, that we’re not worthy. So let me put an end to that fear right now: I can assure you that no matter how much good or how much not-so-good you have done, you are absolutely, positively, undeniably, 100%, without a doubt, never ever going to earn your place in heaven! The price of admission to heaven is very steep. It’s beyond our ability to pay. But thank God, it is not left to us to pay the price. If that were even possible, there would have been no need for Jesus to come! So why did Jesus come? To understand salvation, we have to understand what we need to be saved from. When Adam and Eve sinned, they received the penalty of eternal death within themselves - separation from God forever. There was no way they could return to the garden of perfection with the stain of rebellion on their soul. Something eternal had died inside them and no matter how good they tried to be, they couldn’t undo what had been done. They had died spiritually, and physical life became but a hologram of what life could have been. So Jesus came to restore eternal life, which is fellowship with God (John 17:3). In John 10:10 He said, “I came that they may have life, and have it abundantly.” He accomplished this by giving His life a ransom for many (Mat 20:28) and bringing about justification and righteousness for all who believe (Rom 5:18-19; 3:21-24; Gal 2:16). The good news is He did it without our help! We weren’t good enough to be saved, we were bad enough! We simply received the gift given - not by works, not by being good, not by trying harder, but by faith. But what about the issue of “blaspheming the Holy Spirit?” I don’t believe this is a sin that a Christian is capable of committing! But rather than dive into that here, I encourage you to read something my father wrote on the subject on his blog. I believe it will really help you process this. One last thing - can a Christian lose their salvation? I honestly don’t believe so. Salvation is not something that can misplaced like keys or glasses. Salvation is not something we find - that would give us credit! The truth is God finds us and causes us to be born again! He changes our nature and makes us a new creation, not an improved version of ourselves but a whole new person! God doesn’t temporarily give you eternal life! For a fuller treatment on this I recommend the God Questions article at http://www.gotquestions.org/Christian-lose-salvation.html. But always remember this - nothing can separate you from God’s love (Rom 8:38-39) and nothing can take you from God’s hand (John 10:28-29). 2. The Fear of the Lord is NOT something you can measure externally. There was a time when “God-fearing people” were expected to dress a certain way. Even today there are some faith-based cultures with very distinctive dress codes: the Amish, orthodox Jews, even some Holiness Christians. The problem with external standards is that it’s far too easy for us in our humanness to turn them inside out. We turn an effect into a cause, taking a response to God’s presence and making it a requirement for acceptance in a community of believers. If we have a healthy fear of God, it will influence the choices we make, and many of those choices are things that will be visible to an outside observer. That’s not a bad thing. As ambassadors of Christ, we need to be conscious of the fact that we are not just out there representing ourselves. What we wear, what we do, and how we carry ourselves are more than just a matter of personality. We’re sending a message with the choices we make. Since the Fear of the Lord is a heart matter we should each guard our own heart diligently, both for what comes in and what goes out. Let us ask the Lord for personal convictions and guidelines for wise living, and live from them to please Him. That is how the Fear of the Lord works out in our individual lives. 3. 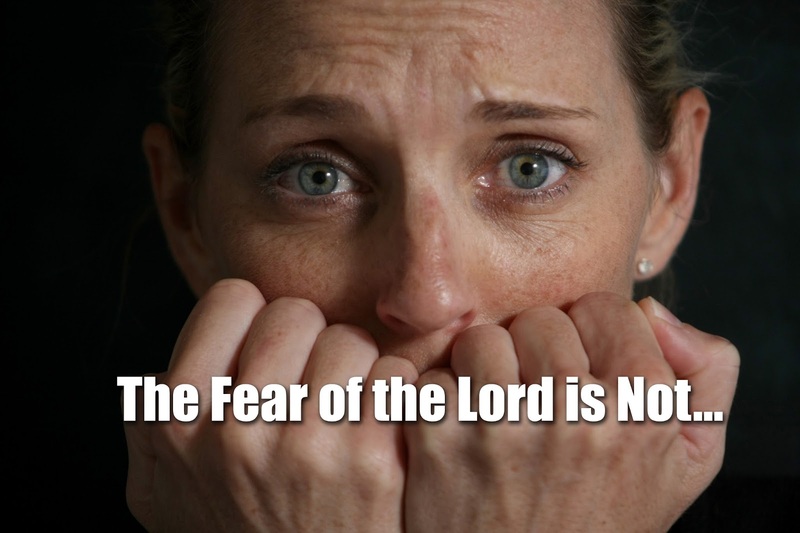 The Fear of the Lord is NOT about being scared… period. While it’s humorous to look back on those childhood experiences, there are some believers who see God this way. They live afraid of a God who is constantly watching and keeping track of our failures. And it’s true, God is indeed watching us. He does know when we fall short. But He’s not watching us so that He can condemn us. 1 Chron 16:9a says, “The eyes of the Lord move to and fro throughout the earth that He may strongly support those whose heart is completely His.” That’s a powerfully encouraging reminder that God loves you and is cheering for you to do well! There are people in this world who want nothing more than to make others afraid of them. 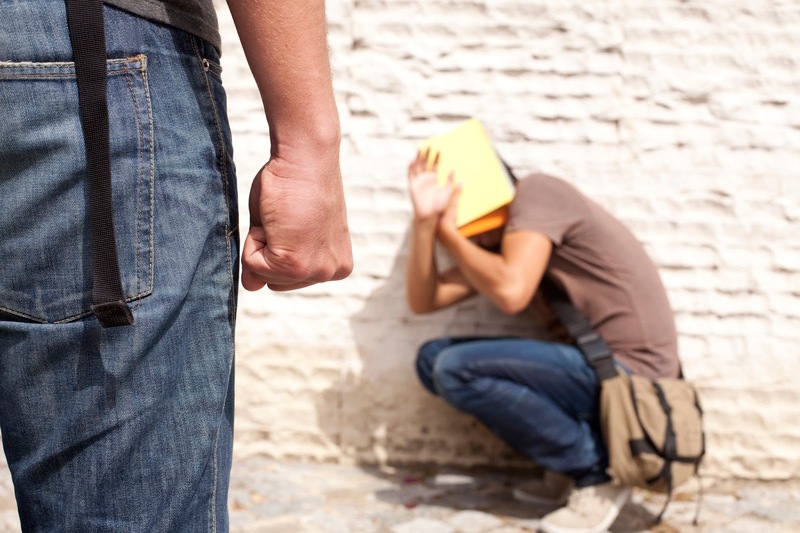 Unhealthy fear can be used to control others, to manipulate them by holding the threat of harm over their heads. It could be a schoolyard bully or a cold blooded dictator, an abusive spouse or an overstepping spiritual leader. Our natural human tendency is to shrink back from things we’re afraid of. Most of us try to avoid the things we fear. I’ve got important news for you. God is not a terrorist! That kind of fear is not the Fear of the Lord. If you’ve experienced abuse in a relationship, especially with a parent or spouse, that can leave scars that never completely go away. And because the family on earth was designed to be a representation of God’s love for us, these scars can skew our view of God and our relationship with him. If you’ve ever experienced abuse in a church situation, what you’ve seen is a human being exploiting their spiritual leadership for power or personal gain. I’ve heard of “pastors” who threaten their flock with loss of God’s blessing or protection if they don’t do what the “pastor” asks. And I put “pastor” in quotation marks because that kind of individual is a poor caricature of the shepherd that God has called pastors to be. These experiences also leave scars. Maybe you read the words of that verse and think, “Well, that’s just wonderful. Not only am I afraid, but I’m not perfected in love. Now what?” How do we overcome fear and become perfected in love? That’s a beautiful passage. Live in God, and your love will grow more perfect. And perfect love casts out unhealthy fear.